The photo was taken in The General Staff Building of Hermitage Museum in Saint Petersburg. 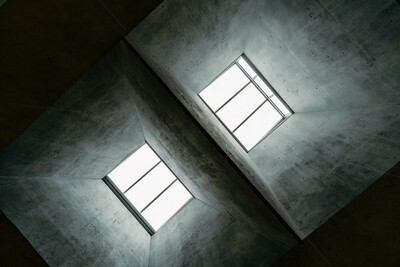 Two windows are the part of the roof so they were my main light. Most part of interiors of The General Staff Building of Hermitage Museum in Saint Petersburg is made by raw concrete so i try to highlight the absolutely fantastic textures. Im a big fan of RNI film pack so this is Agfa Optima 100-01 preset for Lightroom. I increase the contrast and clarity a bit to show those textures of concrete. I think we are all great artists! Don't be shy or hesitate and continue to experiment!! !